These 16S open-end towels are made for mid-level institutional customers. They have a bright white appearance, are made with open end yarn and are bale packed. 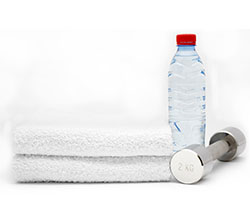 Towels are mostly used as complimentary towels for pools and gyms. These towels are softer than our economy line. They will need to be washed prior to use.